Eleanor Belle (Post) Smith, 93, of Salida died on August 23, 2018 at Columbine Manor Care Center. She was born on March 11, 1925 in Brooklyn, NY to Stephen Preston and Elsie Louisa (Paul) Post. Her family moved to Rahway, NJ when she was six years old. She graduated from Rahway High School in the class of 1943. She worked for the Pennsylvania Railroad in New York City. Mrs. Smith married Norman Smith, one of her classmates, on June 15, 1946. He preceded her in death in 1985. She was very active in her church in New Jersey where she was a Sunday School teacher, sang in the church choir, and worked on dinners and bazaars. She was also a Girl Scout Leader and a Brown Troop Leader for many years. The family moved from Rahway, NJ to Long Valley, NJ in 1966. 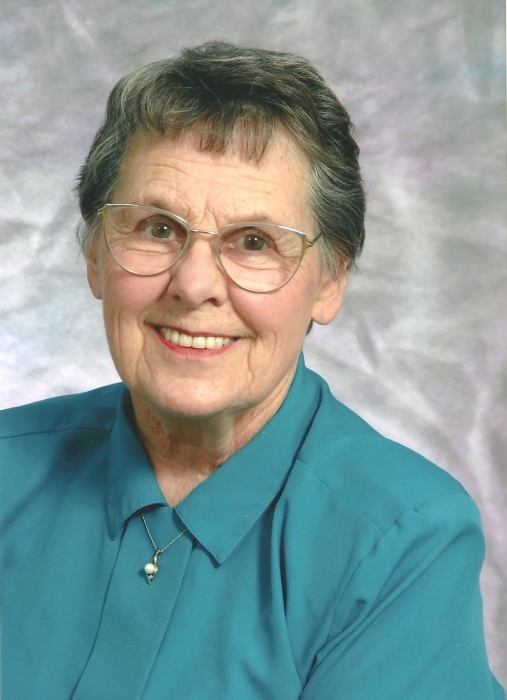 She was the church secretary of Zion Lutheran Church in Long Valley for 8 years. She worked at M&M/Mars in Hackettstown, NJ from 1973 to 1977. In 1977 to 1979, she lived with her husband and son in Tehran, Iran where both were employed with American Bell International; he as a power engineer and she as a secretary. It was quite the experience, learning the language and culture of the people of Iran. In 1978 upon their return to the States, they both retired and moved to Moffat, CO. They had two horses and rode to the tops of the mountain, enjoyed the scenery, along with fishing and hunting. She loved the mountains. She had her own greenhouse where she raised and started all her own flowers and vegetable plants. Her other hobbies were crocheting and all kinds of crafts. She also enjoyed swimming, ice skating, puzzles, along with walking. She loved the ocean and walking on the beaches collecting shells for her crafts. She was noted for her aluminum Christmas trees that she made at Christmas time, along with her shell ornaments/wreaths, and Santas made out of ice cream cones. After her husband died in 1985, she joined the Colorado Travel Club in Pueblo, CO and traveled for 11 years. She had been to all 50 states including Alaska, all of the islands in Hawaii, all through Canada, including Nova Scotia, Prince Edward Island, and ten countries of Europe. She saw Switzerland twice as it was one of her favorite countries. She visited all of the islands in the Caribbean, went through the Panama Canal, Costa Rica, Columbia, South America, and Mexico. She had no desire to visit any of the other countries. She was a member of the Ascension Episcopal Church of Salida. She was a dual member and past Matron of Topaz Chapter #37, Order of the Eastern Star in Salida, CO. She had been a member and past Matron of Minnehaha Chapter in Saguache, CO. Her primary chapter is Mt. Zion and was 64 year member as of May 2013. Mrs. Smith was preceded in death by her parents; daughter Carol Housman, her only sibling, brother Stephen Paul Post; one infant son, Norman Vincent Smith; one son-in-law, Steven Borer; her first grandchild, Sarah Borer; one nephew, Anthony Post; and one step-great grandson Sterling Davis. She leaves her two daughters June (Richard) Ding of Pennsylvania and Bonnie (Michael) Perkalis of Massachusetts; son Allan J. (Lyn) Smith of Salida; son-in-law Stanley Housman of Massachusetts, nine grandchildren, Hali Black, Daniel Borer, Lauren Weslosky, Brian Ding, Melissa Lamb, Rebecca Perkalis, Justin Smith, Amanda Schubert, and Katherine Wesner; 12 great grandchildren; 2 step grandchildren; and 8 step great grandchildren. A funeral service will take place at the Church of the Ascension, 4th and E St., in Salida on Thursday August 30, 2018 at 11:00 AM. A luncheon will be served after the service by the Ladies of the Church and the Ladies of the Topaz Chapter OES. Interment will take place at Hazelwood Cemetery after a service in the chapel at Hazelwood Cemetery in Rahway, NJ. In lieu of flowers, memorial contributions may be sent to her church: Church of the Ascension, PO Box 1540, Salida, CO 81201 or the March of Dimes.